All reports can be found under the 'My Account' menu item as shown below. All links are hoverable and when moused over will show where they lead to. Once you have logged into the site you will find the affiliate dashboard on the navigation bar. 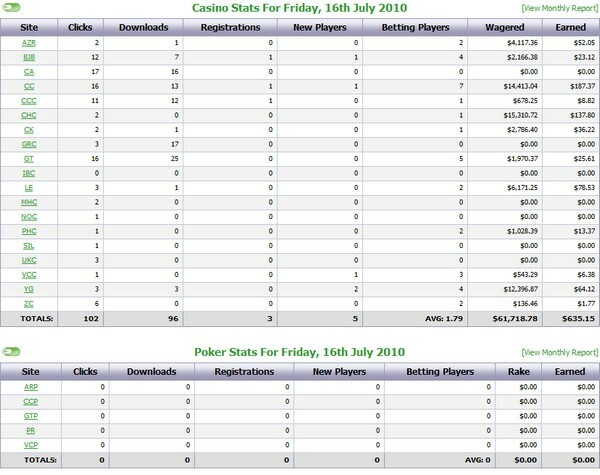 This shows your Daily Stats Report, New Casino Player Summary, Active Casino Player Summary, your Monthly Earnings Breakdown and Admin Ratios. You can click the links throughout the page to get to other reports. By clicking on the date you will be taken to the Full Report for that summary. 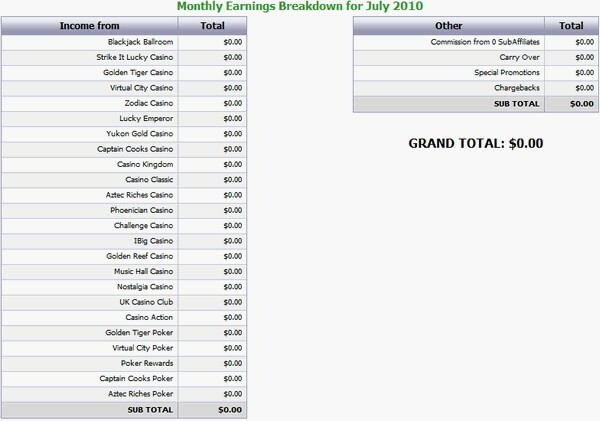 Click a link in the left hand column to be taken to the Game Type Report for that particular casino on the specific date. 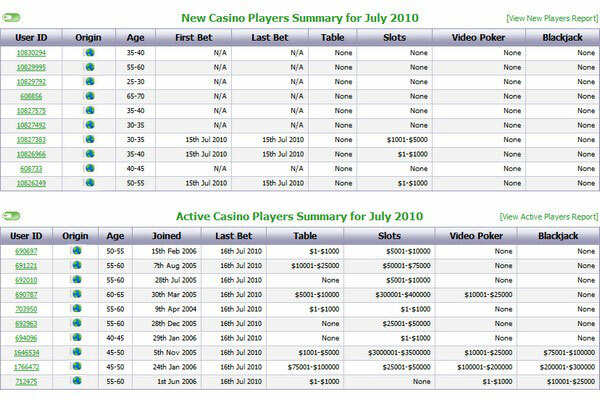 By clicking on the Player ID you will see the Details of that individual player including Region, Occupation, Age, Casino, Date of Registration, Date of First Bet, Date of Last Bet, Gender and the wagering value of that player. You can also browse the dates by clicking the arrows located at the top of each report. Scroll down to see more snapshots.